A lot has happened in October, and it seems that my rebound from last month still continued. 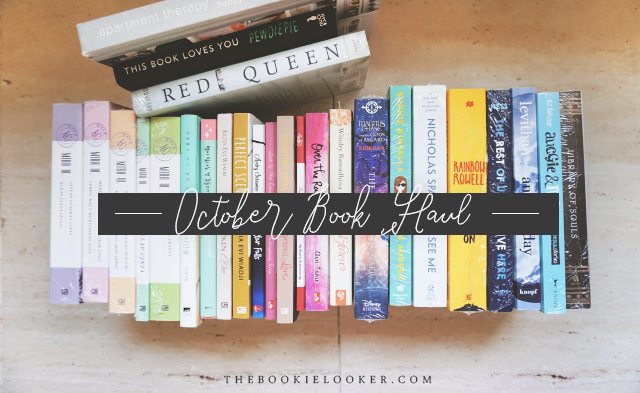 I didn't realize how much books I've accumulated this month until I had to make this book haul post. The list is very long and it scares me somehow—because I'm not sure when I'll get to all of these books. But let's put my worries aside and just cherish all the new books! I've got 26 books in total this month (11 English books, 2 Korean books, 13 Indonesian books) ; 8 of them I received from authors/publisher/bookstore. Gosh, just mentioning the numbers made me guilty already. SO many books. Anyways, here are the books—please don't judge me by my book-shopping habit! 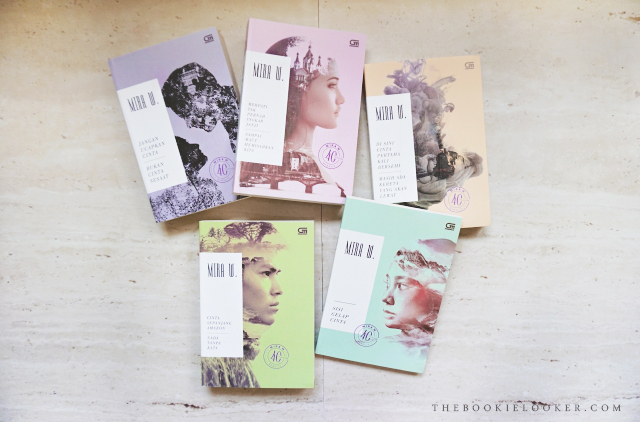 Not gonna lie, the beautiful series of covers is what pushed me to buy this book. 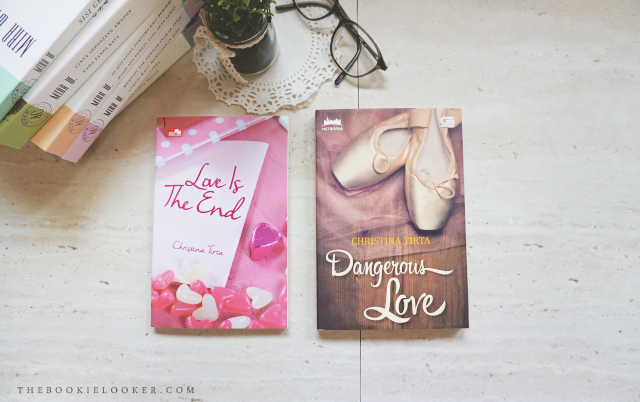 When I saw these books in Gramedia bookstore, I was a little bit hesitant because I'm not really sure if I'll like it or not. But then my mother, who've read Mira W.'s books before, recommended the book for me. Then without feeling any kind of guilt at that moment, I grabbed all five books with me to the cashier. 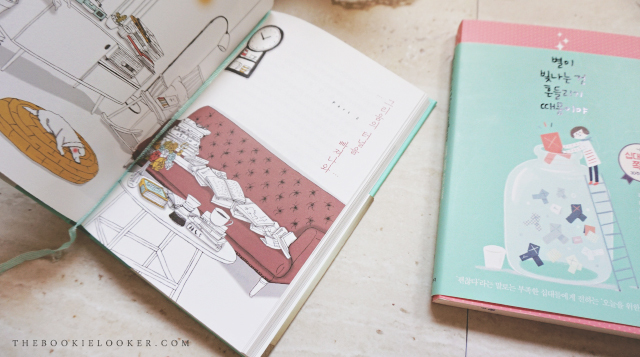 On one side, I'm still happy I got these books because I can devour on its' beauty every day. But I'm not sure when I'll read them—which makes me a little bit guilty now. 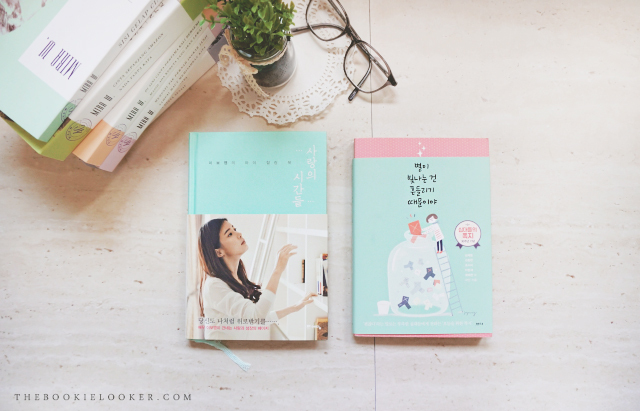 The second book that I got from the Incheon Airport's bookstore is this super-cute-looking book that's written by various authors. I'll be honest again and say that the color of this book is the main reason that I bought it. It's my favorite color. And I'm weak like that. 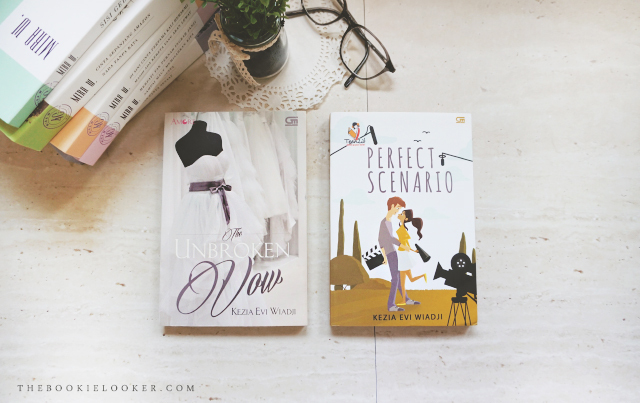 The author herself, Kezia Evi Wiadji, kindly contacted me and offered me to review two of her new released books. I've read her works in the past so I gladly accepted. 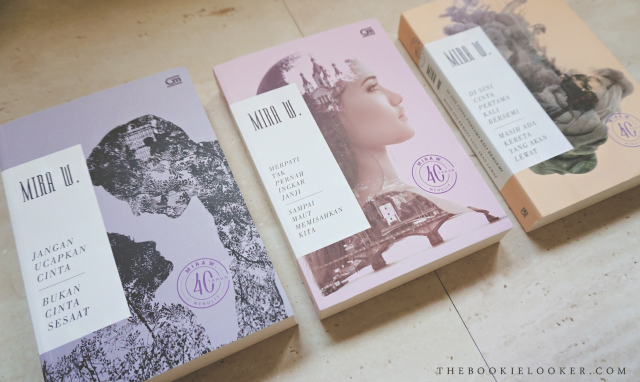 I fell absolutely in love with the covers of these two books. Unfortunately, I still haven't found the time to start reading these yet, but hopefully I will do so soon. 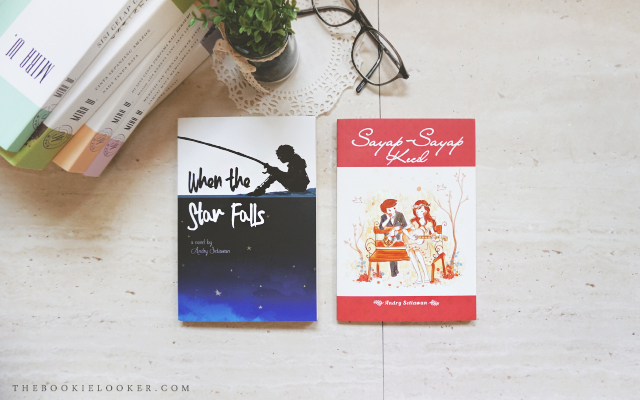 After I finished reading this book, I will also be giving away a copy of these two books provided by the author :) So stay tune for that! 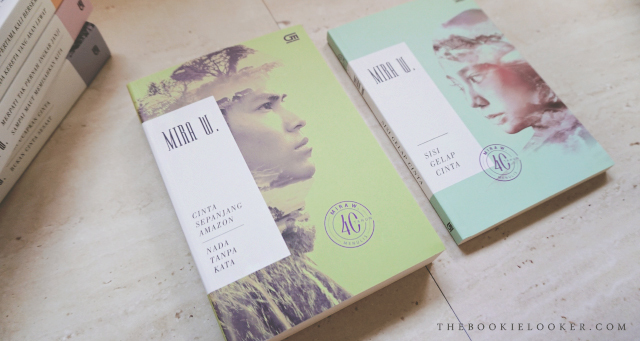 I was offered by the author, Andry Setiawan, to read the manuscript of this book last month before it was published. And now I finally have a copy of this book, sent to me by Penerbit Haru. I really enjoyed this book; it almost feels like watching a melodramatic movie as I read this book. Along with the previous book, Christina Tirta also sent me a copy of her other book—which I'm incredibly grateful for. 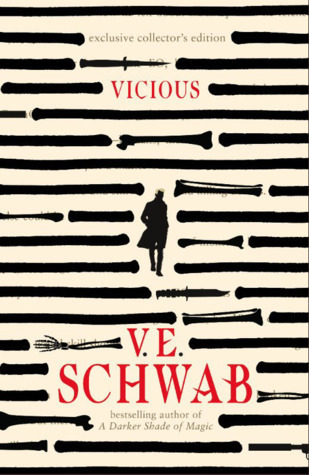 I still haven't read it yet but the plot sounds very interesting, so I'm hoping I'll be able to get to it soon. 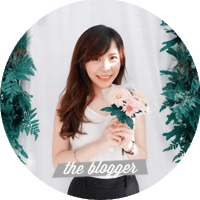 Several months ago, I participated in Asri Tahir's debut novel blog tour, and now I've got the chance to join the blog tour of her second book! 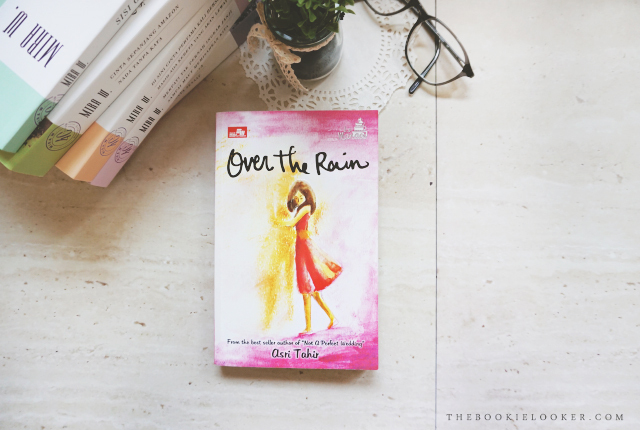 I've read and reviewed this book and I fell totally in love with the story. 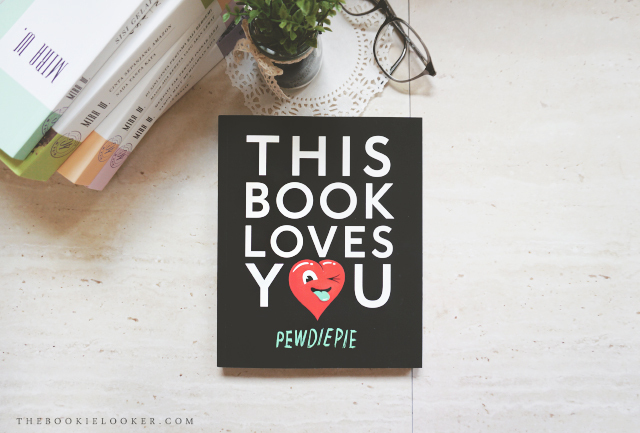 If you want to know more about this book, you can read my book review in the link above :) It's such an emotional roller-coaster. 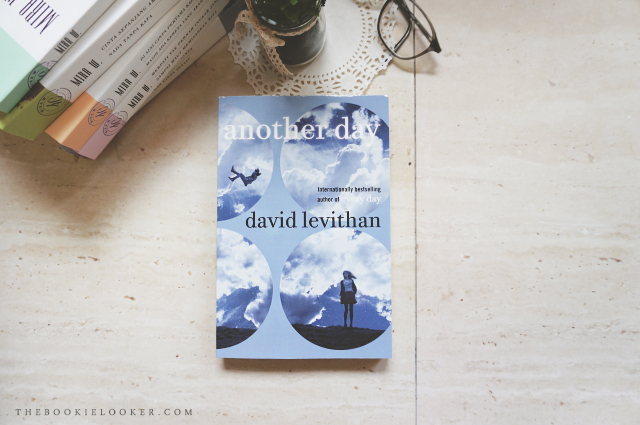 This book was a really pleasant surprise that I got from Periplus Bookstore. I mentioned Periplus on Twitter with my review and suddenly their admin sent a DM thanking me for the review. And then they kindly offered me a free book! I was totally freaking out at the time because it was so unexpected. They let me choose between The Book Thief or Red Queen, and I chose this book because I already have 2 copies of The Book Thief. Originally, I wasn't planning on picking up this series; but now that I've got it for free, I can't not read it right? :)))) Thanks again Periplus for your kind gesture! I pre-ordered this book on Periplus.com and I was so excited when the package arrived! If you know me, you'll know that I won't be reading this book anytime soon. Because I'll be waiting for the rest of the series to come out and marathon the series in one go. I'm really looking forward to the day when I can devour this series and probably meet Thor and Loki in a different setting other than the Avengers. I have read every single one of Nicholas Sparks' novels and I wouldn't miss his newest book that I've been highly anticipating since the author announced the publication date. I was strolling through Periplus Bookstore when I came across this book on display! I honestly didn't expect Periplus to have it in stock so quickly. And of course, without having to think twice, I took this book with me. Dying to start reading this right away but I still have to read several more books that I received from authors/publisher. I know this book has been out for quite some time already and I was pretty hesitant about buying this book before because there's been mixed reviews about it. Some people love it, some people don't. 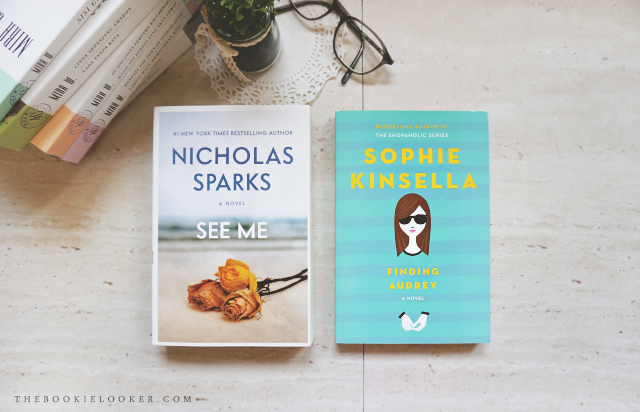 But when I browsing at Periplus Bookstore, I finally decided to get it—mostly because it's Sophie Kinsella. I've always loved her books and I want to believe that I'll enjoy this one as well. I actually already have an e-book copy as well, but I couldn't resist. The cover is beautiful too (reason number 2 for buying it). Still from the same trip to Periplus Bookstore as the previous two, and it was a pleasant surprise for me to see this book on display as well! I really really didn't expect Periplus to have this already; it's the exact same feeling like when I saw Nicholas Sparks' book in the bookstore. So far I've only read A Monster Call by Patrick Ness, but I know I'll love anything he writes just from that one book. Really looking forward to reading this! 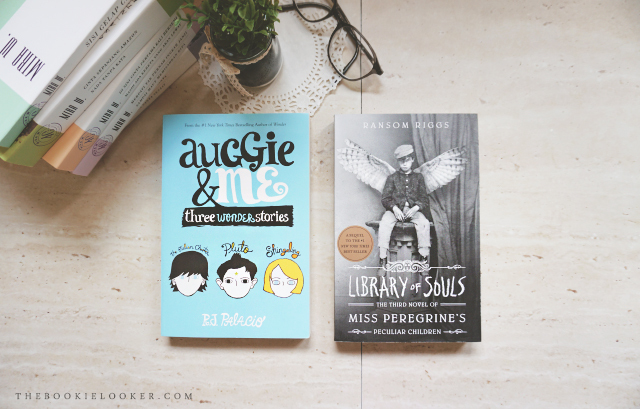 Here's the last and fourth book that I got from that trip to Periplus Bookstore! This was quite an impulse purchase because I wasn't really planning on getting this book, it's not even on my wishlist yet. However, since I've heard quite a lot of good things about it, I finally decided to bring this book home with me. 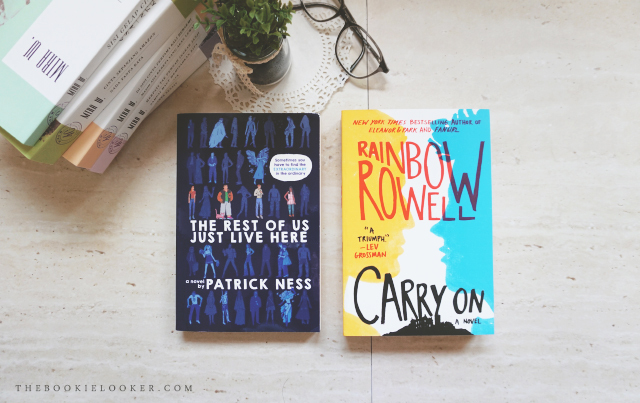 I've only read Eleanor & Park by Rainbow Rowell and am dying to dive into more of her stories. Here's a very exciting purchase because I bought this at Books & Beyond in Surabaya! I'm so happy they finally opened a store in my hometown and I will be making a post about it soon. While I was looking around the huge bookstore, I discovered this book that's been on my wishlist for quite some time. OMG I was so happy when I saw this book and instantly took it from the shelf. I've already read two out of three stories that are in this book, I only have to read the last one, Shingaling, that's written in Charlotte's POV. I got this from the same trip to Books & Beyond as the previous book, and I'm so happy the third and final book of this trilogy is finally published. Now that the trilogy is over, I have no more reason to not start reading it. I still don't know exactly when, but hopefully I'll be able to start reading this series soon. 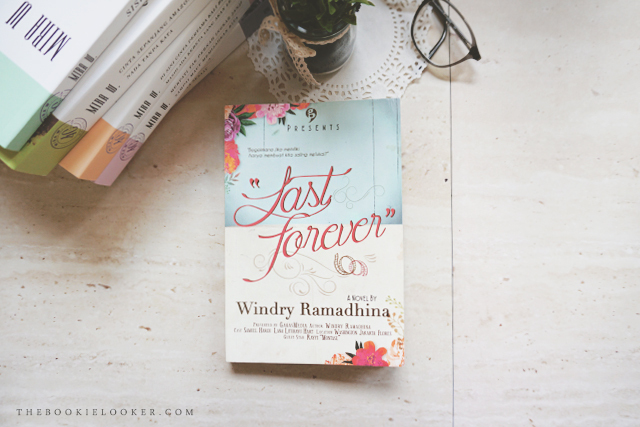 I didn't even hesitate for a second when I ordered this book from Republik Fiksi (to get the signed-copy) because Windry Ramadhina is one of my favorite Indonesian authors. 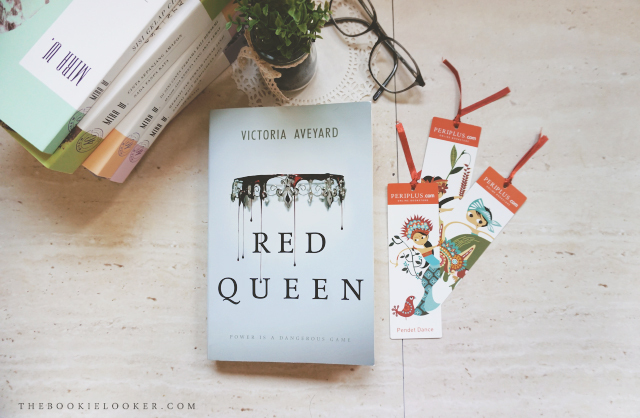 I always fell in love with her beautiful writing and I never want to miss any of her new books. I honestly don't know much about what the book is going to be about but I think it's going to be an emotional read. Lastly, it's a book that I pre-ordered on Amazon back in September, I think. 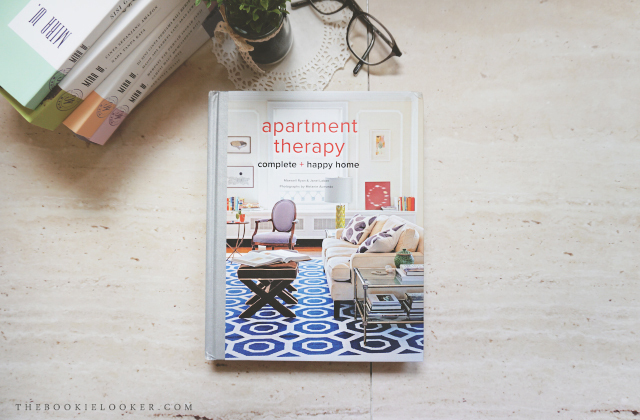 I'm a huge fan of Apartment Therapy's website because they always provide helpful information about home living. 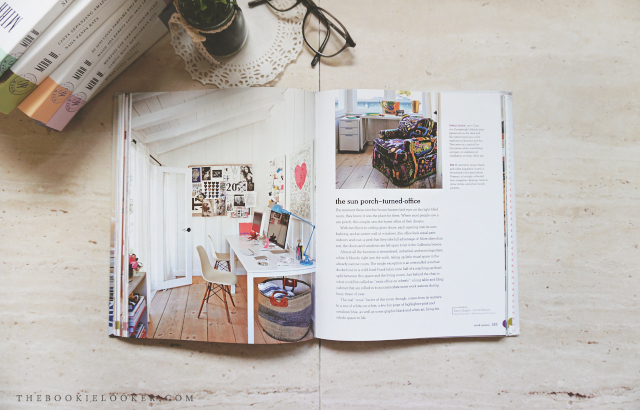 I always love reading beautiful home tours and also learning some tips on how to clean and organize rooms. 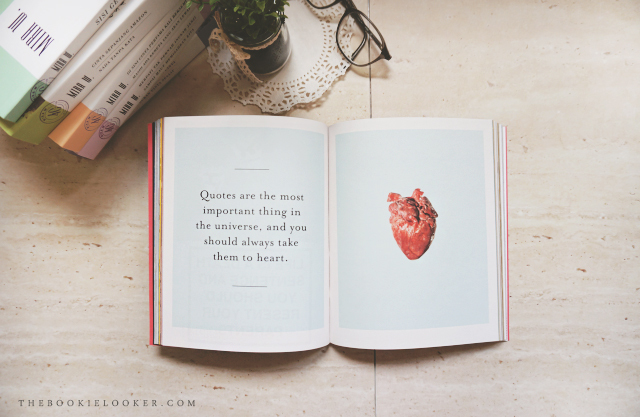 I think I will read this book once in a while when I'm lazing around; and it will be the perfect coffee table book. I know I've got a LOT of books this month, so that's why I will try my best to hold myself back from buying anymore books in November. I don't want to make any promises that I can't keep, but at least I have a goal. This month I will try my best to read as many books as I can so that I will feel less guilty about all the books that I've bought. Have you read any of the books that I bought this month? Is there anything that piqued your interest? Feel free to share your thoughts in the comments below, or you can also share your own book haul so I can check it out :)) Okay, bye now! 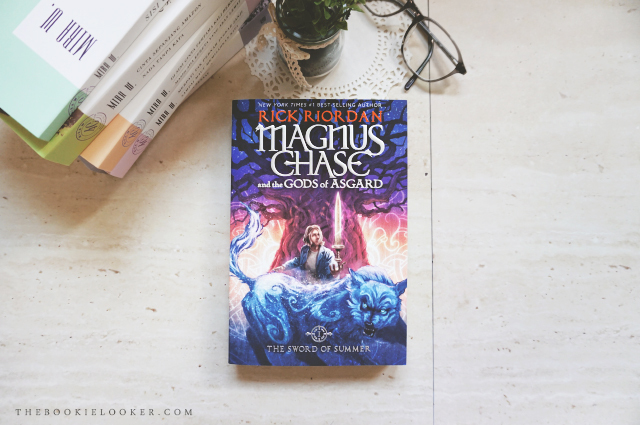 I love the color scheme of Magnus Chase book, so pretty. Oh my God, I'm drooling... Especially The Rest of Us Just Live Here and Auggie & Me. And Perfect Scenario looks cute too!